"There is nothing more precious than a little baby girl or boy. At MyBabyClothesBoutique.com they strive to bring you the most fashion forward and trendy baby clothes on the web, all at a Guaranteed Lowest Price! Their team searches to find the cutest, most comfortable, and highest quality clothes and accessories available. If you are looking for something that they don't provide, let them know and they will find it for your and add it to their wide selection of designer clothes. The My Baby Clothes Boutique customer service team is available to handle your questions and concerns. Feel free to email or call them to ask any questions or place orders. I hope you have fun browsing around their online catalog. They have lots of choices and adorable pictures of their little baby models. Don't forget to check out some of their cute accessories like baby hats, baby headbands, baby booties, unique baby socks and much more." I was lucky enough to receive a Work Boy Baby outfit from My Baby Clothes Boutique for review. It is so cute and looks adorable on my little man. He is 11 months old so I got an outfit to fit 18 months so It will still fit my little man in the winter. It is nice and warm. It looks nice. The fabric is easy on his skin. The colors compliment him. He looks classy and it is easy to put it on. It is priced at $21.00 at the moment. It is on sale! This is the cutest thing! 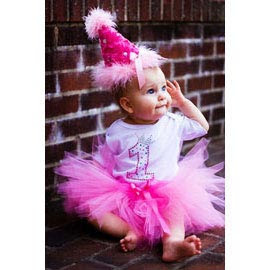 It is a Birthday Cutie 3 Piece Set from My Baby Clothes Boutique. It is perfect for any little girl about to turn 1. I love it and it will be perfect for pictures too. This is priced at $54.00. 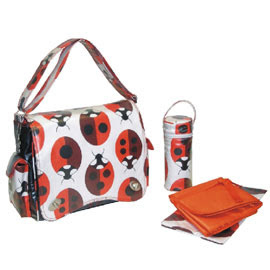 This is a Ladybug Diaper Bag from My Baby Clothes Boutique. It is adorable! I love lady bugs. This is just one. My Baby Clothes Boutique has many other Diaper Bags in different patterns and colors. This is priced at $90.00. My Baby Clothes Boutique has many products for boys, girls, babies, and toddlers for any occasion. These would make awesome gifts for baby showers, birthdays, and other events. They have the cutest clothes and gifts. If you have a baby or toddler you will find something at this website you will just love. Their website is also easy to navigate through. Their products are broken down into easy categories so you can find what you need. Overall I loved the Work Boy Baby outfit from My Baby Clothes Boutique. It is adorable and my little man also liked it as you can see from his pictures. It was also affordable like many clothes at their website. I would recommend these products to my friends and family. Bonus: You will receive free shipping with orders over $75.00 when you shop at http://www.mybabyclothesboutique.com/ . Check out more information on these awesome baby products at the My Baby Clothes Boutique website. 1 lucky Mommy Blessings in Small Bundles reader will win a $25 gift certificate from My Baby Clothes Boutique. To enter go to My Baby Clothes Boutique and tell me a product not listed above you would like to have. 3 Entries: Tell me another product from My Baby Clothes Boutique and not listed above or in your mandatory entry you would like to have. 1 Entry: Fan My Baby Clothes Boutique on Facebook. 1 Entry: Follow Mommy Blessings in Small Bundles on network blogs. 1 Entry Follow my Photography Blog on Google Connect. 1 Entry: Follow my Gossip Blog on Google Connect. 1 Entry: Follow my Recipe Blog On Google Connect. 1 Entry: Befriend me on Myspace. 3 Entries: Blog about this contest with a link back to our blog AND a link to My Baby Clothes Boutique(Leave a link back to your post in your comment). 2 Entries: Add my new button to your blog. The old ones do not count. 2 Entries: Add my Photography Button to your blog. 10 Entries: write a review of Mommy Blessings in Small Bundles. Must be at least 200 words with a button included. 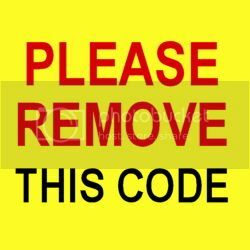 Include url in comment. 1 Entry: for each non-giveaway post you comment on. It has to be a real comment. At the least 2 sentences. This is unlimited. 1 Entry: for each of my current contest you have entered. Not past expired contest. 10 Entries: vote for my blog on the blogger choice awards. Click HERE, join the site, and vote. Then tell me how many votes I have in your comments. 5 Entries: stumble my blog HERE. This is an integrity entry so please be honest. 5 Entries: Vote for me on the Mom Blog Network. 5 Entries: Vote for me on the Top Mommy Blogs. 5 Entries: Vote for me on the Cool Baby Boutiques. 5 Entries: Vote for me on the Family Top 100. 5 Entries: Fuel my blog here. 5 Entries: Vote for me on Mom Bizz Bloggers. 10 Entries: Vote for my blog at the Top Baby Blogs and tell me what my votes are in your comments. 10 Entries: Vote for my blog at the Top Mommy Blogs and tell me what my votes are in your comments. 10 Entries: Make a purchase from My Baby Clothes Boutique. Good luck! Contest ends on July 22d at midnight EST. Winner will be announced that weekend. Winner will be chosen through random.org. Disclaimer: I received a sample for review. No other compensation was received for this post or to host a giveaway. All opinions are mine and are valid. My can't be bought or swayed either way. Mandatory entry: I would like to have the Little 45 By Baby Bol outfit for my grandson. I'd love to have the White and Pink Sport Trainer shoe for my littlest girl. And another product I'd like is the Pink Jungle Short Sleeve Dress. The Penguin and Diaper Bag are cute!!! The Penguin and Panda Diaper Bag are cute!!! I did vote for your blog at Top Baby Blogs, you are #84 with 36 in and 41 0ut votes. I would also like to have the Baby M.D. Three-Piece Layette Set in Doctor's Bag Gift Box. I like the Baby Camo Two-Piece Layette Set in "Backpack" Gift Box. The Zoe Zebra gift set is adorable.Thanks for the chance. I absolutely love the Flower Power Retro Print Halter Dress. My daughter would look so cute in it! The Perfectly Princess TuTu Tunic & Leggings Set is really cute. Thanks. I really like their Babies' Organic Cotton Girl's Pants with Skirt Chestnut and Wheat!